All presentations will be presented in POSTER style. The detailed requirements and formats of the poster presentation are as follows. 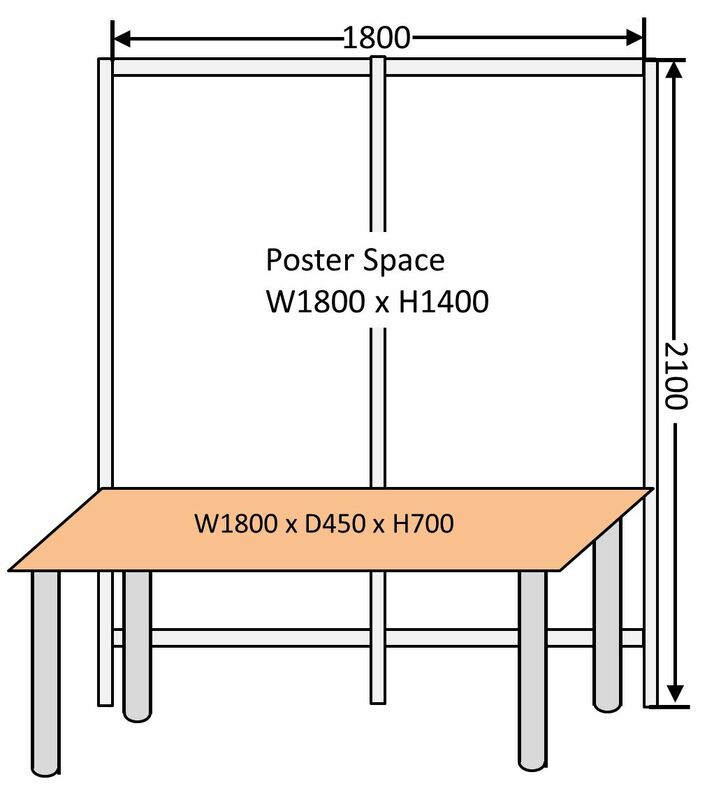 The space for a poster presentation is a board (180 cm in width, and 210 cm in height) with a desk (180 cm in width, 45 cm in depth, and 70 cm in height) in front of the board. The poster presentation is held in the Exhibition hall A of Pacifico Yokohama. Each session has 90 minutes for presentation. It is divided into the first and second time slots (45 minutes for each). Each poster presentation is assigned to a time slot as a core time, when presenters must explain their posters. A table and a power supply(100V, 1 plug) are available for each presentation. 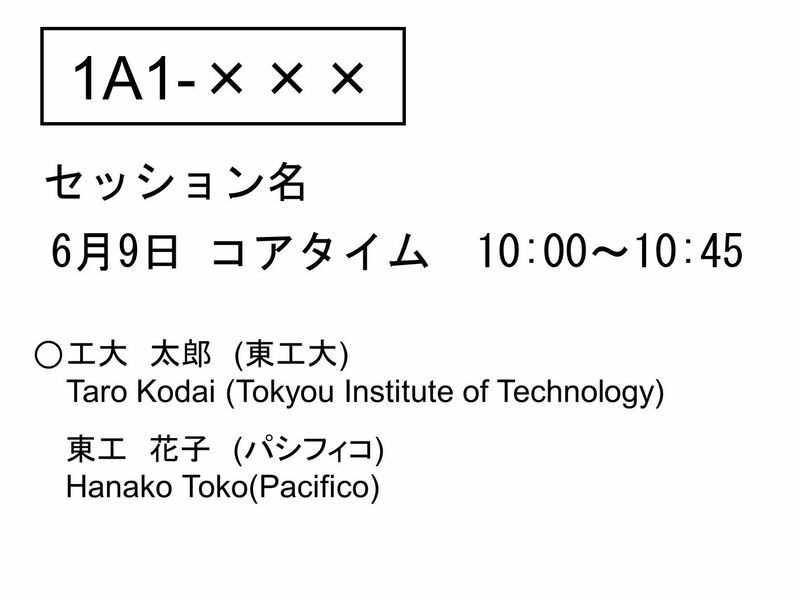 Note that the total power supplies of each group of spaces for poster presentations are limited. Please ask officials if you need large amount of power supply.